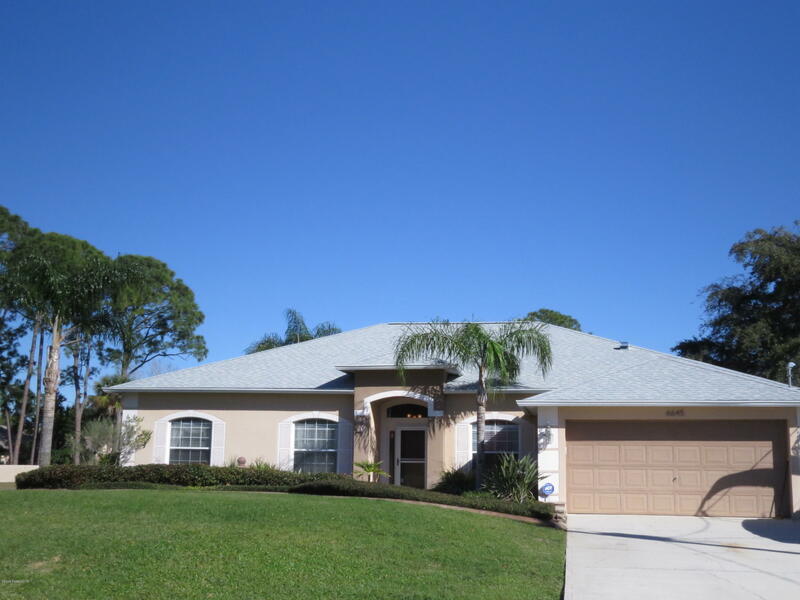 Magnificent pool home with plenty of space for entertaining and living comfortably. Pool offers a screened enclosure and water fountain also surrounded by pavers, also includes security fencing from porch to pool. PVC fencing for lots of privacy. Great landscaping on a corner lot. Brand new roof and AC. Hurricane shutters. Inside laundry. Open kitchen to family with new granite. Master has double sinks, separate tub and shower with a discrete toilet. Home features Formal living, formal dining, family room with nook . Front office that could easily be turned into a 4th bedroom. Close to the Space Center and all of the Orlando attractions.